I recently read a book by Lawrence Krauss and another book by Richard Dawkins and they both quoted Subrahmanyan Chandrasekhar who died in 1995. Back in 1994 on the tenth anniversary of Francis Schaeffer’s death, I wrote Dr. Chandrasekhar a letter but never heard back from him. (A portion of that letter is below). For other people with the same name, see Chandrasekhar. Subrahmanyan Chandrasekhar, FRS ( i/ˌtʃʌndrəˈʃeɪkər/; 19 October 1910 – 21 August 1995), was an Indian American astrophysicist who was awarded the 1983 Nobel Prize for Physics with William A. Fowler “for his theoretical studies of the physical processes of importance to the structure and evolution of the stars”. His mathematical treatment of stellar evolution yielded many of the best current theoretical models of the later evolutionary stages of massive stars and black holes. The Chandrasekhar limit is named after him. Chandrasekhar worked on a wide variety of astrophysical problems in his lifetime, contributing to the contemporary understanding of stellar structure, white dwarves, stellar dynamics, radiative transfer, the quantum theory of the hydrogen anion, hydrodynamic and hydromagnetic stability, turbulence, equilibrium and the stability of ellipsoidal figures of equilibrium, general relativity, mathematical theory of black holes and theory of colliding gravitational waves. At the University of Cambridge, he developed a theoretical model explaining the structure of white dwarf stars that took into account the relativistic variation of mass with the velocities of electrons that comprise their degenerate matter. He showed that the mass of a white dwarf could not exceed 1.44 times that of the Sun – the Chandrasekhar limit. Chandrasekhar revised the models of stellar dynamics first outlined by Jan Oort and others by considering the effects of fluctuating gravitational fields within the Milky Way on stars rotating about the galactic centre. His solution to this complex dynamical problem involved a set of twenty partial differential equations, describing a new quantity he termed ‘dynamical friction’, which has the dual effects of decelerating the star and helping to stabilize clusters of stars. Chandrasekhar extended this analysis to the interstellar medium, showing that clouds of galactic gas and dust are distributed very unevenly. Chandrasekhar studied at Presidency College, Madras (now Chennai) and the University of Cambridge. He spent most of his career at the University of Chicago, spending some time in its Yerkes Observatory, and serving as editor of The Astrophysical Journal from 1952 to 1971. He served on the University of Chicago faculty from 1937 until his death in 1995 at the age of 84. Chandrasekhar was born on 19 October 1910 in Lahore, Punjab, British India in a Tamil family, to Sitalakshmi (1891–1931) and Chandrasekhara Subrahmanya (1885–1960) who was posted in Lahore as Deputy Auditor General of the Northwestern Railways at the time of Chandrasekhar’s birth. He was the eldest of their four sons and the third of their ten children. His paternal uncle was the Indian physicist and Nobel laureate C. V. Raman. His mother was devoted to intellectual pursuits, had translated Henrik Ibsen‘s A Doll’s House into Tamil and is credited with arousing Chandra’s intellectual curiosity at an early age. Chandrasekhar was tutored at home initially through middle school and later attended the Hindu High School, Triplicane, Madras during the years 1922–25. Subsequently, he studied at Presidency College, Madras from 1925 to 1930, writing his first paper, “The Compton Scattering and the New Statistics“, in 1929 upon inspiration from a lecture by Arnold Sommerfeld and obtaining his bachelor’s degree, B.Sc. (Hon. ), in physics in June 1930. In July 1930, Chandrasekhar was awarded a Government of India scholarship to pursue graduate studies at the University of Cambridge, where he was admitted to Trinity College, Cambridge, secured by Professor R. H. Fowler with whom he communicated his first paper. During his travels to England, Chandrasekhar spent his time working out the statistical mechanics of the degenerate electron gas in white dwarf stars, providing relativistic corrections to Fowler’s previous work (see Legacy below). During this time, Chandrasekhar made acquaintance with British physicist Sir Arthur Eddington. In an infamous encounter in 1935, Eddington publicly ridiculed the concept of the Chandrasekhar limit. Although Eddington would later be proved wrong, this encounter caused Chandra to contemplate employment outside the UK. Later in life, on multiple occasions, Chandra expressed the view that Eddington’s behavior was in part racially motivated. During World War II, Chandrasekhar worked at the Ballistic Research Laboratory at the Aberdeen Proving Ground in Maryland. While there, he worked on problems of ballistics; for example, two reports from 1943 were titled, On the decay of plane shock waves and The normal reflection of a blast wave. Chandrasekhar’s expertise in hydrodynamics led Robert Oppenheimer to invite him to join the Manhattan Project at Los Alamos, but delays in the processing of his security clearance prevented him from contributing to the project. It has been rumored however that he was called to discuss and visit the Calutron project and was the individual responsible for suggesting that young women be used to operate the calutrons as they would do so more efficiently than the male scientists assigned to the task. Chandraskhar had used top performing female high school students from Williams Bay, Lake Geneva, Elkhorn and Burlington, Wisconsin to calculate immensely difficult mathematical equations entirely by long hand, and found that their abilities and vigilance were unparalleled. He then applied this first-hand knowledge with the talents of local “hillbilly high school girls” to speed up the slow-moving centrifugal Calutron project. This in turn allowed the enriched radioactive materials to be completed on time, in order to fashion the atomic weapons ultimately used to end the war. Without these raw materials, developed at the Y-12 National Security Complex these weapons never would have been tested or dropped on Japan. He wrote that his scientific research was motivated by his desire to participate in the progress of different subjects in science to the best of his ability, and that the prime motive underlying his work was systematization. “What a scientist tries to do essentially is to select a certain domain, a certain aspect, or a certain detail, and see if that takes its appropriate place in a general scheme which has form and coherence; and, if not, to seek further information which would help him to do that.”  Chandrasekhar developed a unique style of mastering several fields of physics and astrophysics; consequently, his working life can be divided into distinct periods. He would exhaustively study a specific area, publish several papers in it and then write a book summarizing the major concepts in the field. He would then move on to another field for the next decade and repeat the pattern. Thus he studied stellar structure, including the theory of white dwarfs, during the years 1929 to 1939, and subsequently focused on stellar dynamics, theory of Brownian motion from 1939 to 1943. Next, he concentrated on the theory of radiative transfer and the quantum theory of the negative ion of hydrogen from 1943 to 1950. This was followed by sustained work on hydrodynamic and hydromagnetic stability from 1950 to 1961. In the 1960s, he studied the equilibrium and the stability of ellipsoidal figures of equilibrium, and also general relativity. During the period, 1971 to 1983 he studied the mathematical theory of black holes, and, finally, during the late 80s, he worked on the theory of colliding gravitational waves. Chandra worked closely with his students and expressed pride in the fact that over a 50-year period (from roughly 1930 to 1980), the average age of his co-author collaborators had remained the same, at around 30. He insisted that students address him as “Chandrasekhar” until they received their Ph.D. degree, after which time they (as other colleagues) were encouraged to address him as “Chandra”. From 1952 to 1971 Chandrasekhar was editor of The Astrophysical Journal. During the years 1990 to 1995, Chandrasekhar worked on a project devoted to explaining the detailed geometric arguments in Sir Isaac Newton‘s Philosophiae Naturalis Principia Mathematica using the language and methods of ordinary calculus. The effort resulted in the book Newton’s Principia for the Common Reader, published in 1995. Chandrasekhar was an honorary member of the International Academy of Science. Chandrasekhar, S. (1958) . An Introduction to the Study of Stellar Structure. New York: Dover. ISBN 0-486-60413-6. Chandrasekhar, S. (2005) . Principles of Stellar Dynamics. New York: Dover. ISBN 0-486-44273-X. Chandrasekhar, S. (1960) . Radiative Transfer. New York: Dover. ISBN 0-486-60590-6. Chandrasekhar, S. (1975) . Plasma Physics. Chicago: The University of Chicago Press. ISBN 0-226-10084-7. Chandrasekhar, S. (1981) . Hydrodynamic and Hydromagnetic Stability. New York: Dover. ISBN 0-486-64071-X. Chandrasekhar, S. (1987) . Ellipsoidal Figures of Equilibrium. New York: Dover. ISBN 0-486-65258-0. Chandrasekhar, S. (1998) . The Mathematical Theory of Black Holes. New York: Oxford University Press. ISBN 0-19-850370-9. Chandrasekhar, S. (1990) . Truth and Beauty. Aesthetics and Motivations in Science. Chicago: The University of Chicago Press. ISBN 0-226-10087-1. Chandrasekhar, S. (1995). Newton’s Principia for the Common Reader. Oxford: Clarendon Press. ISBN 0-19-851744-0. Chandrasekhar, S. (1943). Stochastic Problems in Physics and Astronomy. Reviews of modern physics. Spiegel, E.A. (2011) . The Theory of Turbulence : Subrahmanyan Chandrasekhar’s 1954 Lectures. Netherlands: Springer. ISBN 978-94-007-0117-5. Chandrasekhar had published around 380 papers in his life time. He wrote his first paper in 1928 when he was still an undergraduate student and last paper was in 1995. The University of Chicago Press published the papers of Chandrasekhar in six volumes. Professor Chandrasekhar was awarded the Nobel Prize in Physics in 1983 for his studies on the physical processes important to the structure and evolution of stars. Chandrasekhar accepted this honor, but was upset the citation mentioned only his earliest work, seeing it as a denigration of a lifetime’s achievement. He shared it with William A. Fowler. Chandrasekhar guided 50 students to their PhDs..
After his death, his widow Mrs. Lalitha Chandrasekhar made a gift of his Nobel Prize money to the University of Chicago towards the establishment of the Subrahmanyan Chandrasekhar Memorial Fellowship. First awarded in the year 2000, each year, this fellowship is given to an outstanding applicant to graduate school in the Ph.D. programs of the Department of Physics or the Department of Astronomy and Astrophysics. In an interview with Kevin Krisciunas at the University of Chicago, on 6 October 1987, Chandrasekhar commented: “Of course, he (Otto Struve) knew I was an atheist, and he never brought up the subject with me”. ^ Jump up to:a b c d Tayler, R. J. (1996). “Subrahmanyan Chandrasekhar. 19 October 1910 – 21 August 1995”. Biographical Memoirs of Fellows of the Royal Society. 42: 80–26. doi:10.1098/rsbm.1996.0006. Jump up^ Vishveshwara, C.V. (25 April 2000). “Leaves from an unwritten diary: S. Chandrasekhar, Reminiscences and Reflections” (PDF). Current Science. 78 (8): 1025–1033. Retrieved 2008-02-27. Jump up^ Horgan, J. (1994) Profile: Subrahmanyan Chandrasekhar—Confronting the Final Limit, Scientific American 270(3), 32–33. ^ Jump up to:a b c O’Connor, J. J.; Robertson, E. F. “Subrahmanyan Chandrasekhar”. Biographies. School of Mathematics and Statistics University of St Andrews, Scotland. Retrieved 21 May 2012. Jump up^ Chandrasekhar, S. 1983. Autobiography Nobel Foundation, Stockholm, Sweden. Jump up^ The Works of the Mind, p.176, edited by Robert B. Heywood, University of Chicago Press, 1947. Jump up^ Helmut A. Abt (1 December 1995). “Obituary – Chandrasekhar, Subrahmanyan”. Astrophysical Journal. 454: 551. Bibcode:1995ApJ…454..551A. doi:10.1086/176507. Jump up^ “Publications by S. Chandrasekhar” (PDF). Indian Academy of Sciences. Retrieved 15 May 2017. Jump up^ “Grants, Prizes and Awards”. American Astronomical Society. Retrieved 24 February 2011. Jump up^ “Past Winners of the Catherine Wolfe Bruce Gold Medal”. Astronomical Society of the Pacific. Retrieved 24 February 2011. Jump up^ “Winners of the Gold Medal of the Royal Astronomical Society”. Royal Astronomical Society. Retrieved 24 February 2011. Jump up^ “Past Recipients of the Rumford Prize”. American Academy of Arts and Sciences. Retrieved 24 February 2011. Jump up^ “Henry Draper Medal”. National Academy of Sciences. Retrieved 24 February 2011. Jump up^ “Subrahmanyan Chandrasekhar Memorial Fellowship”. Jump up^ “Nobel laureate’s wife Lalitha Chandrasekhar dies at 102”. The Hindu. 2013-09-07. Retrieved 2014-01-02. Jump up^ Kameshwar C. Wali (1991). Chandra: A Biography of Chandrasekhar. University of Chicago Press. p. 304. ISBN 9780226870557. SC: I am not religious in any sense; in fact, I consider myself an atheist. Jump up^ “Interview with Dr. S. Chandrasekhar”. American Institute of Physics. Miller, Arthur I. (2005). Empire of the Stars: Friendship, Obsession, and Betrayal in the Quest for Black Holes. Boston: Houghton Mifflin. ISBN 0-618-34151-X. Srinivasan, G., ed. (1997). From White Dwarfs to Black Holes: The Legacy of S. Chandrasekhar. Chicago: The University of Chicago Press. ISBN 0-226-76996-8. Wali, Kameshwar C. (1991). Chandra: A Biography of S. Chandrasekhar. Chicago: The University of Chicago Press. ISBN 0-226-87054-5. Wali, Kameshwar C., ed. (1997). Chandrasekhar: The Man Behind the Legend – Chandra Remembered. London: imperial College Press. ISBN 1-86094-038-2. Wignesan, T., ed. (2004). The Man who Dwarfed the Stars. The Asianists’ Asia. ISSN 1298-0358. Venkataraman, G. (1992). Chandrasekhar and His Limit. Hyderabad,India: Universities Press. ISBN 81-7371-035-X. Saikia, D J.; et al., eds. (2011). Fluid flows to Black Holes. Singapore: World Scientific Publishing Co. Ptd Ltd. ISBN 981-4299-57-X. Kameshwar, C Wali, ed. (2001). A Quest For Perspectives. Singapore: World Scientific Publishing Co. Ptd Ltd. ISBN 1-86094-201-6. Kameshwar, C Wali, ed. (1997). A Man Behind the Legend. Singapore: World Scientific Publishing Co. Ptd Ltd. ISBN 1-86094-038-2. Kameshwar, C Wali, ed. (2011). A Scientific Autobiography: S Chandrasekhar. Singapore: World Scientific Publishing Co. Ptd Ltd. ISBN 981-4299-57-X. I have enclosed a cassette tape by Adrian Rogers and it includes a story about Charles Darwin‘s journey from the position of theistic evolution to agnosticism. Here are the four bridges that Adrian Rogers says evolutionists can’t cross in the CD “Four Bridges that the Evolutionist Cannot Cross.” 1. The Origin of Life and the law of biogenesis. 2. The Fixity of the Species. 3.The Second Law of Thermodynamics. 4. The Non-Physical Properties Found in Creation. The Theory of Evolution Destroyed!! Adrian Rogers is pictured below and Francis Schaeffer above. 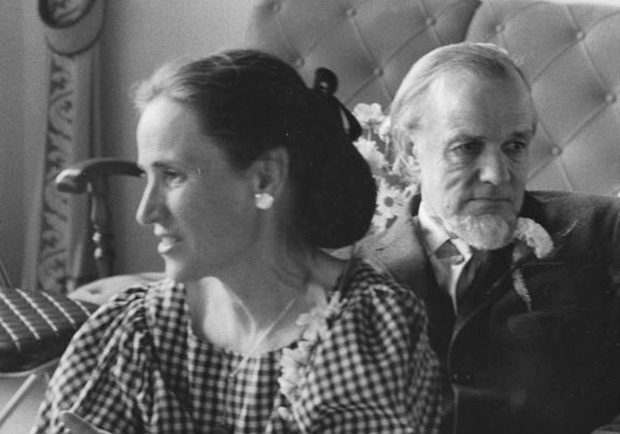 In the first 3 minutes of the cassette tape is the hit song “Dust in the Wind.” Below I have given you some key points Francis Schaeffer makes about the experiment that Solomon undertakes in the book of Ecclesiastes to find satisfaction by looking into learning (1:16-18), laughter, ladies, luxuries, and liquor (2:1-3, 8, 10, 11), and labor (2:4-6, 18-20). Solomon is showing a high degree of comprehension of evaporation and the results of it. Seeing also in reality nothing changes. There is change but always in a set framework and that is cycle. You can relate this to the concepts of modern man. Ecclesiastes is the only pessimistic book in the Bible and that is because of the place where Solomon limits himself. He limits himself to the question of human life, life under the sun between birth and death and the answers this would give. 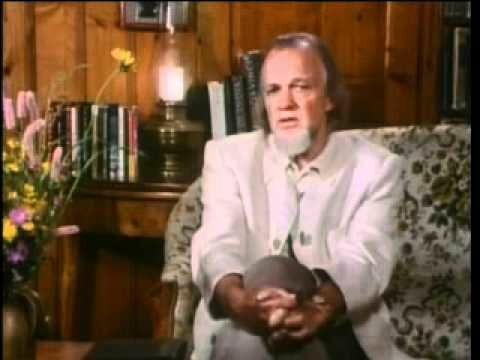 Francis Schaeffer in the film WHATEVER HAPPENED TO THE HUMAN RACE? The answer to find meaning in life is found in putting your faith and trust in Jesus Christ. The Bible is true from cover to cover and can be trusted. In 1978 I heard the song “Dust in the Wind” by Kansas when it rose to #6 on the charts. That song told me that Kerry Livgren the writer of that song and a member of Kansas had come to the same conclusion that Solomon had and that “all was meaningless UNDER THE SUN,” and looking ABOVE THE SUN was the only option. I remember mentioning to my friends at church that we may soon see some members of Kansas become Christians because their search for the meaning of life had obviously come up empty even though they had risen from being an unknown band to the top of the music business and had all the wealth and fame that came with that. Both Kerry Livgren and Dave Hope of Kansas became Christians eventually. Kerry Livgren first tried Eastern Religions and Dave Hope had to come out of a heavy drug addiction. I was shocked and elated to see their personal testimony on The 700 Club in 1981. Livgren lives in Topeka, Kansas today where he teaches “Diggers,” a Sunday school class at Topeka Bible Church. Hope is the head of Worship, Evangelism and Outreach at Immanuel Anglican Church in Destin, Florida. John Feodorov was born in 1960 in Los Angeles, of mixed Native-American and Euro-American descent. Brought up both in the suburbs of Los Angeles and on a Navajo reservation in New Mexico, Feodorov early experienced the cultural differences between his dual heritages. He also observed the stereotypes present in American culture at large, where Native Americans were idealized as the living embodiment of spirituality by New Age consumerists. His work addresses this clichéd modern archetype through a humorous interjection of “sacred” items into recognizable consumer products. Feodorov mixes this analytical critique with installations and sculptural objects that are often whimsical, fantastic, and mythical, creating a new and sometimes genuine sense of the sacred—a sacredness for modern, fractured times. Feodorov holds a BFA in drawing and painting from California State University at Long Beach. He is also a musician and headlines the band Skinwalkers. He lives in Seattle.